The Dissolve's oral histories dig up the stories behind the filmmaking scenes by talking to those who were there. Given the millions of albums “Weird Al” Yankovic has sold, and the fact that, at long last, he’s scored his first Billboard No. 1 record with 2014’s Mandatory Fun, few would argue his status as the most popular musical parodist of his generation. But his cinematic success has been less commercially spectacular. 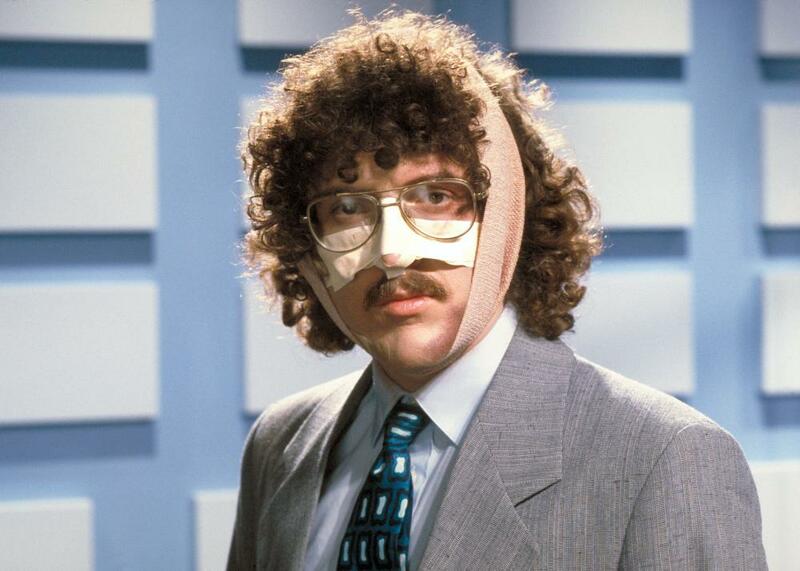 In his long, illustrious career, Yankovic has headlined precisely one motion picture: 1989’s UHF, a box-office disappointment that has developed a tremendous cult following. 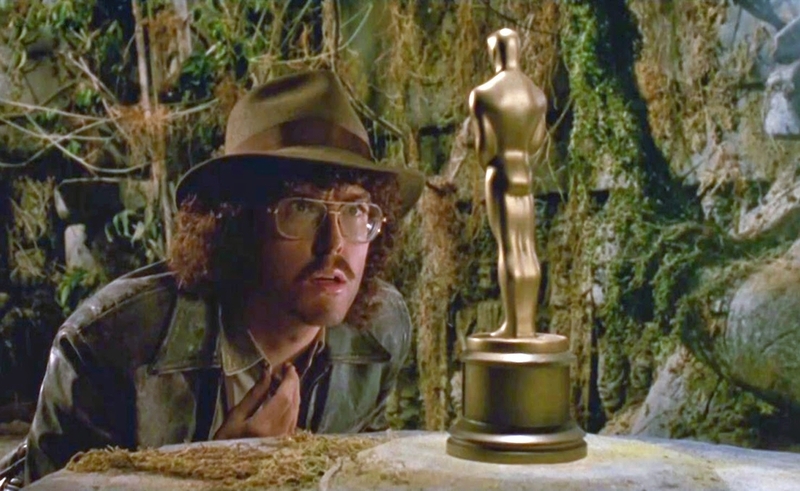 Co-written by Yankovic and his manager, Jay Levey, who also directed the film, UHF stars Yankovic as George Newman, a perpetual daydreamer who gets the job of his dreams when his uncle wins the deed to a TV station teetering on the precipice of bankruptcy. 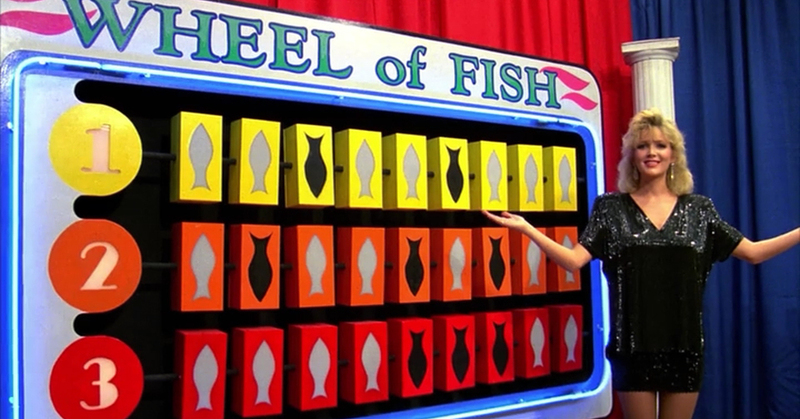 George takes control of the station and decides to create a whole slate of new programming, giving Yankovic the opportunity to come up with a variety of parodies. As Shout! Factory releases a 25th-anniversary-edition Blu-ray of UHF, The Dissolve spoke with Yankovic, Levey, producer Gray Frederickson, cast member Roger Callard (a.k.a. Conan The Librarian), and the one and only Dr. Demento about making the film, being disappointed by its theatrical failure, and finding solace in its belated success. “Weird Al” Yankovic (Star, Co-writer): We’d talked about doing a film for a few years—it’s hard to remember what else was discussed as far as ideas go—but we were obviously trying to play to my strengths, so we wanted to use a story that would revolve around doing takeoffs and parodies. And we thought that doing something within the format of me running a TV station would allow for a lot of comedy in that vein… Writing the script was challenging just because it’s a much larger format than the music videos I’d been doing up to that point. It took us several months just to write the thing. This was before laptop computers, so Jay [Levey] would come to my house, and we’d sit around and pull our hair out and get tired from writing it out in longhand on lined notebook paper. I don’t think I had really collaborated before, because I write all my songs by myself, and it was just a different kind of process to write something with somebody. Jay Levey (Co-writer, Director): I think the struggle was probably a little bit more for him, in that we had very different styles to begin with. My style was to shotgun ideas quickly, with the thought that later on we could always go back and change, delete, add, or whatever. His style is more about… Well, certainly I think he always foresaw using any opportunity needed to make changes. Still, at the same time, his style was more considered and slower. I would find myself oftentimes throwing out an idea or line or whatever, and while I might’ve preferred to go, “Okay, yeah, that sounds good on first pass, let’s memorialize that and move on,” his style was more to deliberate pretty much every line as it came out. So it caused for a lot of extended and interesting pauses in the process, where an idea might get thrown out—whether it was mine or his—and then he’d sort of go off in his brain, playing out all the various ways it could play out onscreen, while I’m just sort of watching him do that. It was kind of an interminable process: I’m sitting in a quiet room, just watching the wheels turn in his head. I don’t know how far I’d go to characterize that there were problems, but we definitely had different styles. More than anything, I suppose it did help him confirm early on—because he had not been used to collaborating—that collaborating in general was not something he was all that keen on doing. He had plenty of great ideas on his own, and in my opinion, he was already extremely highly developed as a comedian even in those early days. But we hadn’t had the experience yet, so we just kind of jumped into it together. Yankovic: Jay and I get along very well, but it’s just difficult to try to share a brain like that. Yankovic: Certainly there are other people who would’ve loved to have directed the film, but I just had a comfort level with Jay that I wouldn’t have had with anybody else. Levey: As far as my directing the film, I certainly wouldn’t call it a snap decision. Al just felt that we were able to best preserve the creative intent of his ideas and concepts with me at the helm, and it just seemed like a natural extension from directing his music videos up to that point, which had come out okay, to co-writing and directing the movie. Yankovic: Yeah, he was green—he’d obviously never done a feature before—and there are things that a more experienced director probably would’ve been advantageous for, but ultimately, I thought that Jay could do the job, and I just felt the movie wouldn’t get away from me if he directed it. I just had a fear that, had it been anybody else, it might not wind up being the movie we had in our heads. Gray Frederickson (Producer): I thought Jay did a really great job, but I remember he was mad at me because I wouldn’t get him a crane. [Laughs.] We had a reunion in Tulsa last spring, I guess it was, for the 25th anniversary, and Jay and Al came and we all had a screening at the Circle Cinema, and I mentioned that Jay had been angry about the crane. And Jay immediately said, “I’m still mad! You never gave me that crane!” I said, “Yeah, I did!” He said, “No, you got me a cheap imitation of a crane. It wasn’t the crane I asked for!” Twenty-five years later, he was still mad. But he did a great job. Levey: I was thoroughly exhilarated about the experience of directing a feature—it was crazy fun—and I was certainly nervous throughout the process that we had to get it right, but I won’t go so far as to say that I felt that there was a lot riding on it. Here’s the thing that’s interesting: Talking not as the director of the film, but as Al’s manager, I knew that his talent transcended what this one film might or might not do, and I knew his primary talent would continue regardless. So on that level, I wasn’t concerned. Of course I always wished for the greatest success for the film, but because I was his manager, I really thought of the stakes being more for him than for me as a director. Yankovic: I tease him during the commentary about a few shots, but Jay and I are like an old married couple: We’ve been together for over 30 years, so he can take the abuse. Levey: There wasn’t anyone I specifically wanted for the film that didn’t make it into the cast, simply because Al came in with so many ideas. I could have made suggestions, I suppose, if it had been needed, but his ideas came up first, they seemed like great ideas to me, and they all seemed doable, so it really wasn’t necessary for me to add on to that. Yankovic: Michael Richards was someone I really wanted to work with in the movie. I’d seen him in comedy clubs around L.A., but at the time, I think he was probably most famous for doing these really outlandish characters on Fridays, which was sort of the ABC version of Saturday Night Live, and I just knew he’d be able to play the physical comedy. He seemed pretty fearless, and I knew he’d really embody the character of Stanley Spadowski, which was difficult. Levey: Michael wasn’t available the first time around, though. We both thought the role was perfectly made for him, but my recollection is that we put out the feelers for him to come in and talk to us and perhaps to read a little bit, although…I don’t think we were going to require him to read all that much, if at all, because we thought it probably wouldn’t be necessary. But we did want him to come in and talk about the part, because that’s just something you do with any actor, at the very least, even if they’re not reading for it. But he wouldn’t even come in to read for it. It kind of blew our minds, because we just thought it was so perfect for him, and we couldn’t understand it. And we couldn’t get a straight answer, either, as to why he wouldn’t come in. So we kind of let that percolate for a short while, and we couldn’t come up with anyone who was remotely as good, although I’m sure in the end we could’ve found somebody. Yankovic: There were a couple of other people that we were talking about for the role. Christopher Lloyd was somebody I loved as well—in fact, I wrote a lot of Stanley’s lines sort of having the Reverend Jim character from Taxi in my head—but at the same time, I knew Michael would be able to play the physical comedy perhaps a bit better. Michael was always my first choice. Levey: So we asked Cathy [Henderson, casting director for UHF] to go back to him again and ask him one more time, to just let him know that we had great feelings about him for this part and great hopes for it, and would he, at the very least, come in and meet with us. And he not only came in, he came in as Stanley. I mean, he was, like, doing Stanley from the moment he walked in the door, as if he had totally embraced the role. And because of that, we didn’t really feel the necessity or the desire to ask him what was up with him not wanting to come in the first time. [Laughs.] For all I know, it was an agent thing that maybe he had nothing to do with. Or maybe he was just busy that day, and that piece of information got lost in the mix. It was very odd. All I know is that he came in the second time we asked, he hit the bulls-eye we thought we would hit with it, and the rest is history. Yankovic: So Michael was on my list of people I wanted, and there were a few others, but Cathy Henderson was responsible for probably 95 percent of the casting choices. Or she put people in front of us who we wouldn’t have ordinarily considered. Frederickson: I’ve known Cathy Henderson for years, but even when she was casting UHF, she looked like a fashion model, she had long, blonde hair, and she rode a Harley to work. She was cool. [Laughs.] And she brought in all these people who either had been around for awhile but we wouldn’t have thought about, or people who weren’t stars yet, but went on to be. Yankovic: I wouldn’t have thought of Tony Geary, who plays Philo. Both Jay and I saw his name on the casting sheet, and we thought, “Really? Are you kidding me?” [Laughs.] And then he came in, and he just blew us away. He was extremely funny and absolutely perfect for it. So Cathy had some really inspired ideas and choices and judgments for us, and she was just really invaluable to the movie. Did she suggest Gedde Watanabe? We might’ve had him in mind for the part of Kuni originally, but I honestly don’t remember. Levey: I thought Al and I together thought of Gedde. He just seemed perfect, you know? After the films he’d done recently, he just seemed like a natural fit. Yankovic: All I know is that I look back now, and I can’t imagine anybody else ever auditioning for it. [Laughs.] We might’ve auditioned other actors as a courtesy, or just to do our due diligence, but Gedde was definitely the guy. If we didn’t get Gedde, I don’t know who we would’ve gotten. Ginger Baker came in and auditioned for the film, which was a bit surreal for me. He came in, and… He was okay. He was all right. He came in to do the part of the bum, and it wasn’t exactly what we were looking for, but it was a moment I won’t forget. There were a number of people who auditioned or who were in contention who would’ve been great, and would’ve taken things in a different direction. Ellen DeGeneres auditioned for the part of Teri, and that would’ve been fun. She’s obviously amazing and extremely funny, and that would’ve been interesting to see. And Crispin Glover would’ve been great in the film. I thought he would’ve been an interesting pick for Philo. But he wanted to do the part of Crazy Ernie… and that, uh, would’ve been interesting, too. [Laughs.] But it would’ve been so different from what we had in mind that it would’ve just taken you out of the movie a little bit, I think. I love Crispin, though. He’s an amazing actor. It’s just an amazing thing to be able to work with legends and people that have been your heroes since you were a child. It’s also amazing to be able to have the ability to sit back and say, “I think I’d like Billy Barty in this movie,” and then… you get Billy Barty! [Laughs.] 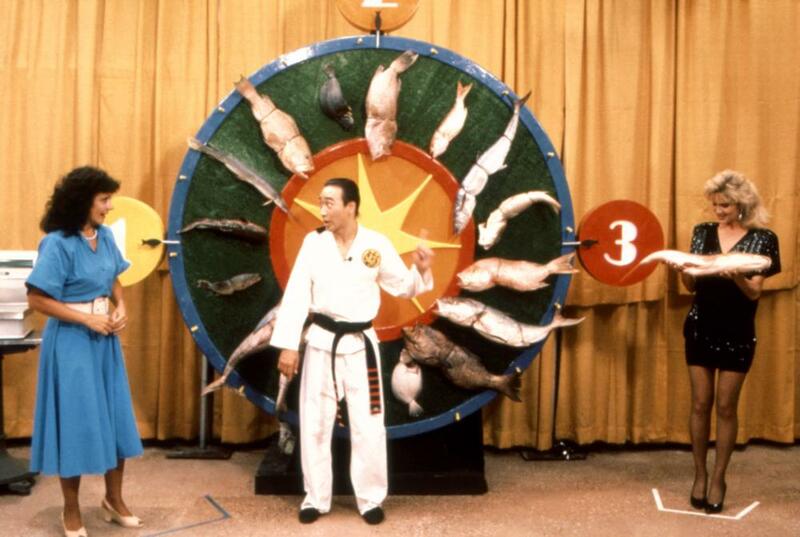 When I was growing up, Billy had a kids’ TV show in L.A., and I’ve just had these extremely fond memories of Billy my whole life. And Billy worked with Spike Jones, one of my all-time heroes! Billy and Vance Colvig as well, who got the part of the bum over Ginger Baker. I could just there and listen to Billy tell stories. Not just Billy, but also Kevin McCarthy, who was an amazing guy. I’d be loath to recall any actual stories he told, but he was always telling us stories about things that happened onstage in the theater, and at the drop of a hat, he’d do a Shakespearean soliloquy at full-on volume wherever we were at. [Laughs.] He was wonderful. But there were a lot of people who were just so much fun to work with, and amused me endlessly on the set. Jay Levey Is Mahatma Gandhi! Yankovic: Now, that’s a part where I know we did audition other people—again, just kind of doing our due diligence—but I think I was always egging Jay on to do it. [Laughs.] “Jay, you have to be Gandhi. You are Gandhi! Come on!” And I finally twisted his arm enough that he did it. I had a movie to direct, and I was consumed by that. And of course, to some degree, I was shy and perhaps insecure about the notion of going on camera like that. So we kept trying to cast it, we kept coming up with goose eggs, so finally it reached a point where we still didn’t have someone, and the shooting of that scene was coming up pretty quick. So it was pretty much out of necessity that I relented and said, “Okay, okay, I guess I’ll do it.” [Laughs.] And it was great fun. I was happy with my performance, too, but mostly it was just a lot of fun. Levey: Gray really knew the lay of the land in Tulsa because he had spent so much time there with Francis Ford Coppola, and he knew it both from a work standpoint and a play standpoint, so the weekends were definitely fun. Frederickson: We were close to Keystone Lake, so we’d go out there in the evenings sometimes after work, and on weekends we’d go out and waterski, the whole cast and crew. Barry Hansen, a.k.a. Dr. Demento: Jay was my manager at the time as well as Al’s, and I’d known for some time that they were busy writing the movie, so I followed along as things happened, and I heard the news that it had gotten cleared to be made and that they were making arrangements for the filming. And then they said, “Would you like to go? We can give you a part as an extra. Not a big part, not a speaking role, but an extra.” Which disappointed me a little bit. I would’ve liked to have had a bigger role. But they gave me a free trip to Tulsa, and I was okay with that. I stayed there a few days and had a good time. I didn’t really know exactly what I was going to be doing until I got there. That’s when I found out I was going to be fed shaving cream or whipped cream by Michael Richards. It tasted like whipped cream, anyway. [Laughs.] It had been a longer scene. I never had any lines, but they probably spent 15 or 20 minutes shooting a few takes where I would react in different ways to the cream. But I got to watch the other scenes that were done that day, like the whole business with the fire hose, which took a considerable amount of time to get it the way they wanted it. That was the main thing that was done that day. I was certainly impressed with Michael Richards’ physical comedy skills and his personality. I didn’t really hang with him or get to know him well, but he was very good to me. He knew who I was, knew me as Dr. Demento and had heard my show, so he was certainly cordial. I don’t know how many others on set knew who I was, though. Certainly some were. But the extras were a lot of local kids that they’d recruited, and a lot of them were probably too young to really know what my show was about. Plus, I don’t think it was airing in Tulsa at the time. But I think they were banking on the fact that Al’s fans would recognize me. I do still wish they’d been able to find a bigger role for me, but so it goes. It is what it is, and they wrote what they thought would be best. Frederickson: They shot the “Conan The Librarian” scene in post-production later, in L.A. That was a day I was not on the set, unfortunately. I’d left because I had to go off to Rome to start The Godfather Part III, so I missed all the stuff they did in post-production. But who was the guy who did that? He was great. A bodybuilding friend of Arnold Schwarzenegger’s who was also an actor. 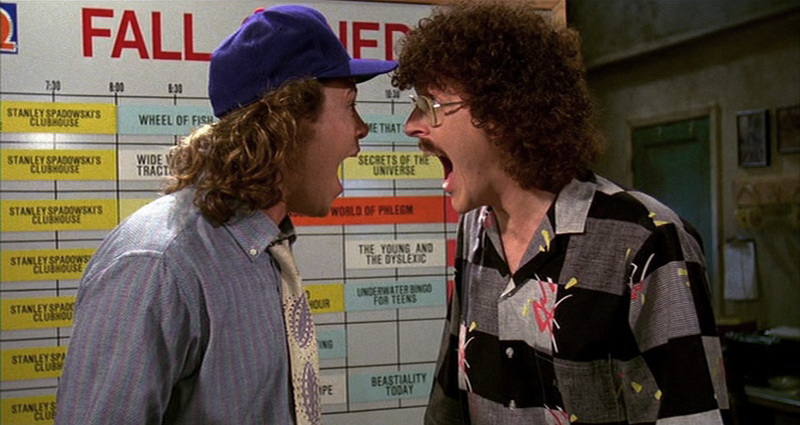 I knew UHF was going to be hilarious just because Weird Al was associated with it. I was already well aware of him, “Eat It” and the other parodies he’d done. And Jay was amazing, too. Jay was a smart director, and he knew that you don’t control actors, you find the best person for the role and you let them go with it. If they’re out of line, then you’re gonna step in, but with comedy, if the director’s bent over laughing, you know you’re on the right track. And Jay was bent over and laughing so hard that it was hard for me to keep a straight face. It’s not like it was Othello or anything. Anyone thinking that they were going to go in and get Shakespeare would have to be an idiot. It was all you could do to keep a straight face throughout the whole thing. But, you know, it was Weird Al. Anyone would jump to be a part of that opportunity. Levey: I’m not even sure how many expectations we even had. Our nose to the grindstone was much more about making the right film, making sure we got the comedy right onscreen, and making sure we were happy with what we got. Then when you’re finished and there’s really nothing more for you to do but market the thing and cross your fingers, at that point you just sort of hope for the best, and you’re so close to it that, frankly, you don’t know what to expect. But then there’s the famous story about how Orion did its test screenings in front of audiences, and the film tested higher than anything they had made since RoboCop, which blew their minds. They were convinced that they had the film of the summer, and not only the film of the summer, but the film that was going to help save them, essentially, because they were in deep trouble at the time as a studio. They placed such expectations on us that they decided to put the film out opposite Batman; Lethal Weapon; Indiana Jones And The Last Crusade; Honey, I Shrunk The Kids; and Do The Right Thing. All those films were out at the same time we were, and they put UHF up against those movies because of the incredible reaction on the test screenings. So what were our expectations? Well, we saw the results of those screenings, and we saw that Orion felt so strongly about those results that they positioned the movie where they did, so we couldn’t help but feel like we had… I don’t know if there’s a fine line between expectations and hope, but we certainly hoped for—and, I suppose to some extent, expected—some kind of success. Maybe not that it would be a blockbuster, even though the test screenings suggested it could be. But our hopes were high enough that I’m sure we had some kind of expectations… and, really, any kind of expectations seem to be unhealthy, especially in that business. But we couldn’t help it. So when it did the opposite, when it crashed and burned because it simply couldn’t compete in that market against those movies at the same time, it came as a pretty hard defeat. Dr. Demento: I was in Montreal for the Just For Laughs Festival the week it opened, and I saw Variety on a newsstand and bought it, and I was dismayed to see their very lukewarm review. I had been primed to believe that the movie was going to be huge, so I was certainly more than a little disappointed that it wasn’t. Yankovic: I don’t know if I’d say I was depressed, because I didn’t spiral into some kind of deep, dark place. But it was a huge disappointment, because the movie had tested so well, and everybody had filled my head with notions that this was the beginning of a long film career. And after the first weekend, when it didn’t perform up to anyone’s expectations, that all went away immediately. Levey: Clearly, I would’ve loved to have done more features, and I would’ve loved to have created a second career for myself as a director. And I’ve somewhat done that—in a very limited way—in the years since. But nothing like what would’ve happened if we’d had a hit movie. Frederickson: It was just released badly. That’s what everybody says about their movie, I realize, but in that case it was true, because later on, it caught on and became a huge cult hit. 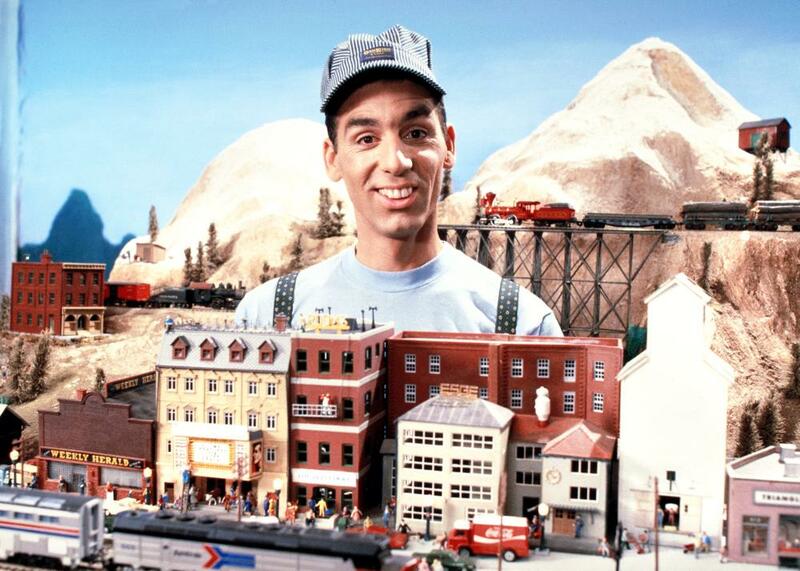 I actually wanted to do a sequel, or a UHF TV series. But I never could pull it together. Yankovic: The movie had its fans immediately—a small group of people—but it’s hard to say when it actually reached cult status. By the time the DVD came out, which was something like 13 years later, I knew it had certainly reached cult status by that point. It’s hard to say exactly, though. Probably sometime after cable TV had started playing it, and certainly it was a while after it had been available on VHS tape. So it was a slow road to cult-dom. [Laughs.] But I couldn’t tell you exactly when that happened. It was very gradual. Dr. Demento: I’m very glad to see it’s become a cult classic. I’m happy for Al that it’s had some success, even if it was belated. Callard: To this day, it’s still one of the most hilarious films I’ve ever seen. Levey: When it was originally released on DVD, it was actually in the top 10… and that’s not of reissues, that’s of everything! So we knew there was something there. And it’s really unfortunate how it did in theaters, but it’s wonderfully satisfying to experience, and to know the effect it’s had on so many people. UHF is so much a part of the conversation when Al’s doing interviews in general. It comes up all the time. In fact, it’s almost a rarity that it doesn’t come up, but when it does, it’s in the context of a real love and affinity for the film, and not, like, “Oh, and there was that bomb of a movie you made.” [Laughs.] It’s about how it’s landed in people’s hearts and on their funny bones. That says a lot for the film. And it’s had an amazing impact on people in the business: when they cite Al as one of the reasons they got into entertainment, they’ll say “All of his work, but especially UHF.” It’s really gratifying.